shoot some hoops with us! One of the most popular hobbies today is collecting basketball cards. If you are an aficionado of the game, you may have started collecting quite early. A basketball card is a trading card, typically printed on thick paper or paperboard and contains the picture of a player and some trivia as well. In some innovative designs, game memorabilia are also being attached to the cards. The earliest basketball cards made their appearance in 1910 when thirty cards were printed. The basketball cards generally have pictures of players of National Basketball Association, Olympic basketball, National Collegiate athletic association, Women’s National Basketball Association etc. • It is necessary to gather certain background information before starting to collect basketball cards. Topps and Upper Deck produce NBA basketball cards. • You can get retail or hobby boxes of basketball cards at Wal-Mart or your local Hobby shops. In general, cheaper basketball cards are released early in the year while at the end of the season, the more expensive cards are released. • Do not be too picky while collecting basketball cards. Instead, just start by buying some of the commonly available boxes of basketball cards. Start with Topps, Topps Chrome, or Fleer. Get recent players with whom you are familiar. Just get used to the feel of the cards as well as the thrill of opening a new pack. If basketball cards do not interest you, you will know by this stage and stop when you can. • Once you are ready to start collecting basketball cards seriously, decide on a focus of your collection. The theme can be your favorite player, your favorite team, a set or a type of card. Narrowing your focus will help you to create a more valuable collection of good basketball cards instead of a number of low value cards resulting in a diluted collection. • Try to locate a local card shop and visit it regularly in search of good basketball cards. They are no longer very common, but are definitely worth the interest if you do manage to locate one. 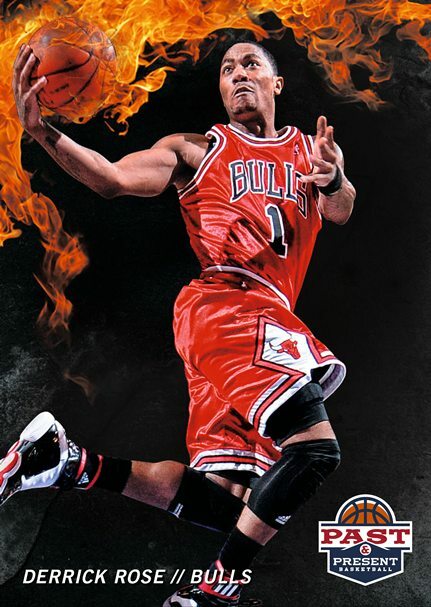 • Finally, a number of online trading forums have come up where you can buy basketball cards. • Set your budget; otherwise you will not be able to build up a well balanced collection of basketball cards. • Physical attributes of the card are used to grade it which in turn influences the price. The color, gloss, corner and centering of the picture are some of the criteria. Grades are given from 1 to 10 with 10 or Gem Mint being the highest grade. Such a card has to be nearly flawless. • The most expensive basketball cards contain an insert. This may be the part of a subset or contain a piece of game memorabilia. They are printed in few numbers and are may be numbered if it is a part of a series. This entry was posted in Uncategorized and tagged Basketball cards, basketball in Madrid, expat basketball in madrid, meetup basketball in Madrid Spain. Bookmark the permalink.